AKUMENTIS(ASCENTIS) ARTHROXA CAPSULE 10`S Arthroxa Capsule 10`s - Buy online at best prices with free delivery all over India. Know composition, uses, benefits, symptoms, causes, substitutes, side effects, best foods and other precautions to be taken with Arthroxa Capsule 10`s along with ratings and in depth reviews from users. Product #: SOM Price: Rs.152.15 Rs.152.15	Available from: SAVEONMEDICALS.COM In stock! Order now! Joint pain may occur due to several reasons. One or more joints may become inflamed and painful. Joints in the body comprise muscles, bones, tendons, ligaments and many other tissues. Damage or injury to a joint may involve any of these parts and due to this, it may be quite difficult to pinpoint the exact cause of the joint pain. Typically, the joints that get affected are the hip and the knee joints, as these joints have a wide movement range and are also flexible. The hip and knee joints bear almost the entire weight of the body and also endure a lot of stress. Other infections such as gonorrhoea, Lyme disease, etc. Avoid sugar as it increases inflammation and joint pain, especially if you’re suffering from conditions such as fibromyalgia, arthritis and gout. Also, sugar causes weight gain, which adds pressure on the joints. Avoid vegetables and fruits such as citrus fruits, tomatoes, potatoes, aubergines and peppers as they worsen the inflammation and joint pain. Avoid fatty foods, high-calorie and sugary foods like fried foods, burgers, cakes, pastries, etc. as they cause you to put on weight and put pressure on the joints. Avoid coffee, tea, other caffeine-based beverages such as energy drinks, sports drinks and alcohol as they consume the essential mineral magnesium, vitamin c and B and cause the joint inflammation and pain to worsen. Avoid saturated animal fats like red meat, eggs and dairy products as these foods contain a lot of arachidonic acid, which worsens inflammation and joint pain. Avoid processed and refined foods such as white rice, white bread, baked goods, pasta, as they use up magnesium and cause inflammation and joint pain. Being overweight puts pressure on the joints and makes it more painful. Losing weight can help to ease the pressure and reduce joint pain. Exercise can help to lose weight but do low-impact exercises such as bicycling, swimming, etc. that don’t irritate the painful joints further. You can use a wrap or a brace to protect the joint. When you have joint pain, ice the affected joint for around 15 minutes many times in a day. This will help to relieve the inflammation and pain. If you are having muscle spasms around the joints, then apply a heating pad. Using an elastic wrap, compress the affected joint. Keep the painful joint elevated above your heart level. If you have a flat foot, use a cushioned insole in your footwear, as the flat foot can cause pain in the joints. Avoid activities that cause joint pain and when you have pain, rest the joint. Avoid keeping the affected joint still for a long time as it can lose its function. Avoid high impact exercises like jogging and running. Don’t over-exercising as this increases the pressure on the joints. Avoid pointed heels, as they increase the pressure on the knees. Avoid anxiety and stress as they contribute to the pain. Avoid texting a lot on your phone as this can cause pain in the small joints of your hands and may also cause the condition known as “texting thumb”, which causes intense pain in the thumb due to texting. Avoid alcohol and smoking as they worsen the joint pains. Working with a physical therapist who uses various techniques such as ultrasound, electrical nerve stimulation, heat and cold therapy and manipulation, which can help to strengthen the muscles around the joint and improves the range of motion. Massage therapy helps to improve circulation and also soothes the inflammation and helps to relieve joint stiffness and pain. You can use warm oil like mustard oil, castor oil and coconut oil and massage gently over the affected area. Alternate use of hot and cold therapy helps to soothe joint pain. Heat helps to increase the blood flow, relaxes the sore joints and muscles and reduces pain, while the numbs the area around the inflamed joint and reduces inflammation. Fenugreek helps to reduce joint pain, thanks to its anti-inflammatory properties. You can swallow a teaspoon of ground fenugreek seeds with warm water in the morning or you can soak a teaspoon of fenugreek seeds in water and eat them in the morning. Turmeric contains curcumin which has antioxidant and anti-inflammatory properties and can help to reduce joint pain. You can mix a teaspoon of turmeric with warm milk and drink it for a few days for relief or you can take turmeric in the capsule form. Apple cider vinegar helps to remove the toxins in the joints and connective tissue and reduces joint pain. You can mix 1-3 teaspoons of apple cider vinegar with some honey in warm water and drink this 2-3 times in a day before meals. You can also massage the inflamed area with apple cider vinegar and olive oil for relief. Garlic contains selenium and sulphur and helps to relieve inflammation and joint pain. You can include garlic in your diet in the raw or cooked form or you can take garlic supplements. You can also fry 2 cloves of garlic with 2 tablespoons of sesame or mustard oil, let it char and then strain the oil and apply the warm oil on the affected joints twice in a day for relief from pain. Ginger is a natural remedy for joint and muscle pains. You can drink ginger tea or mix ginger, fenugreek powder and turmeric and have a teaspoon of the mixture twice a day for relief from joint pain. Epsom salt helps to reduce inflammation and reduces joint pain. You can mix 2 cups of Epsom salt in water and soak in it for around 20 minutes thrice a week for relief. Cayenne pepper contains capsaicin, which is an analgesic. Heat ½ cup of coconut oil and mix 2 tablespoons of cayenne pepper and apply to the affected part and wash off after 20 minutes to get relief from joint pain or you can apply capsaicin cream on the affected joint. What is the frequency of use of ARTHROXA CAPSULE 10`S? Have you been prescribed ARTHROXA CAPSULE 10`S by a doctor? How do you rate ARTHROXA CAPSULE 10`S on price? Eat a healthy anti-inflammatory diet that comprises foods high in vitamins, minerals, antioxidants and omega-3 fatty acids, as these foods help to strengthen your joints. Eat oily fish such as salmon, sardines, mackerel, herring, etc. or you can take a fish oil supplement if you don’t eat fish. This helps to reduce inflammation and joint pain. Choose to eat fat-free or low-fat dairy products, skinless turkey and chicken and lean cuts of pork and beef. Eat leafy green vegetables, dried fruits like figs, oats, sunflower seeds, pumpkin seeds, sesame seeds, kidney beans and sardines, as these foods are rich in magnesium that helps in the proper absorption of calcium since excess calcium gets accumulated as crystals around the joints and increases joint pain. 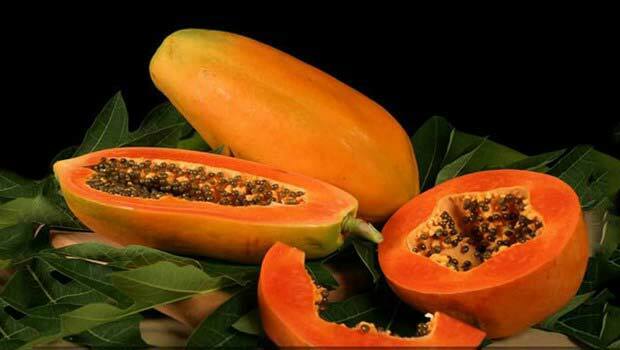 Eat fresh fruit such as papaya, mango, guava, pineapple, etc., as these fruits contain enzymes that reduce the acidity in the body and helps to relieve joint pain. Dehydration causes joint pain, so drink plenty of water and stay hydrated. Q1) Is ARTHROXA CAPSULE 10`S effective? Q2) What is the frequency of use of ARTHROXA CAPSULE 10`S? Q3) Have you been prescribed ARTHROXA CAPSULE 10`S by a doctor? Q4) How do you rate ARTHROXA CAPSULE 10`S on price? Q5) What is your overall rating of ARTHROXA CAPSULE 10`S? Is ARTHROXA CAPSULE 10`S effective? 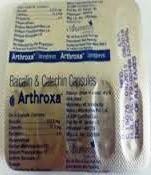 Need to know about substitutes / similar medicines like ARTHROXA CAPSULE 10`S. Click here. What are the uses of ARTHROXA CAPSULE 10`S? What are the side-effects of ARTHROXA CAPSULE 10`S? What is the composition of ARTHROXA CAPSULE 10`S? What are the contraindications of ARTHROXA CAPSULE 10`S ? What are the Do's Of ARTHROXA CAPSULE 10`S? What are the Dont's Of ARTHROXA CAPSULE 10`S? What are the symptoms where ARTHROXA CAPSULE 10`S is used? What are the causes where ARTHROXA CAPSULE 10`S is used? What are the best food interactions of ARTHROXA CAPSULE 10`S ? What are the worst food interactions of ARTHROXA CAPSULE 10`S ? What are the substitutes of ARTHROXA CAPSULE 10`S ? Some useful tips for ARTHROXA CAPSULE 10`S ?